Disclaimer: Compensation was provided by Chase via MomTrends. The opinions expressed herein are those of the author and are not indicative of the opinions of Chase or Momtrends. Jingle Bells, Jingle Bells, debt myths dispelled, the holiday doesn’t mean you need to overspend. You can give gifts in your budget, and you can give yourself the peace of mind knowing you were living within your budget. We have been talking about how to live in your budget and how to save for your future. We have been talking about how to achieve financial freedom and how the Chase Mobile® App can help you make money with the money you already have. The principles of how to make the most of your money and how to spend your money are further aided by Chase digital banking. You need to make sure your financial plans do not fly out of the window as soon as you see sparkling fixtures in stores with holiday cheer pouring out of every speaker. You need to resist and need to remember, and you need to be reminded of your spending limit. That is why I have a three part system to make sure I keep the jingle in my pocket and the holiday cheer in my heart. I also make sure that I only spend what I have and do not put myself in debt buying things that aren’t needed. The first idea is to make a list; the second is to create a Chase account just for holiday spending. The third is to use my Chase account to make sure that I stay on the budget. This is my spending process. 1) Write a list of everyone on your list. 2) Determine your total holiday budget. 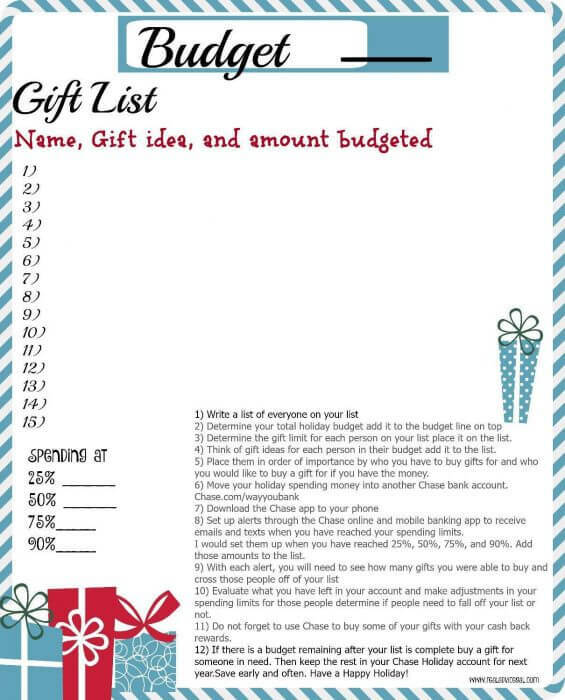 3) Determine the gift limit for each person on your list. If you have $300, then you need to divide that amount by your list. 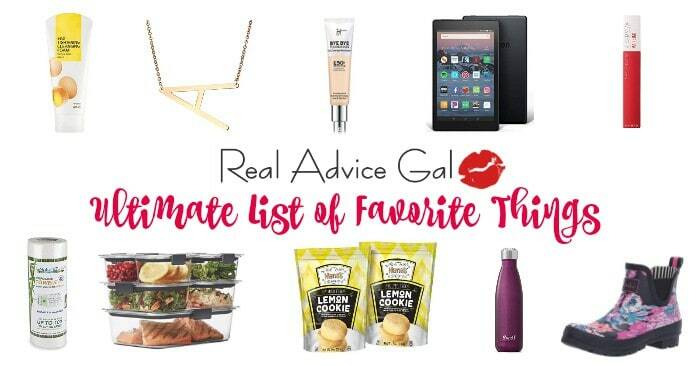 4) Think of gift ideas for each person in their budget. 5) Place them in order of importance by whom you have to buy gifts for and who you would like to buy a gift for if you have the money. I put my friends in the if I have money left category. I have in the past gone out to dinner with everyone as opposed to buying gifts or you can do a swap, dirty elephant game, homemade gift exchange, time barter, or just agree on no gifts. 6) I would move my holiday spending money into another Chase bank account if you do not already have an account for the holiday. 7) Download the Chase Mobile® App to your phone. 8) Set up alerts through the Chase online and mobile banking app to receive emails and texts when you have reached your spending limits. I would set them up when you have reached 25%, 50%, 75%, and 90%. It makes it easier to keep track of your holiday spending. 9) With each alert, you will need to see how many gifts you were able to buy and cross those people off of your list. 10) Evaluate what you have left in your account and make adjustments in your spending limits. Determine if people need to fall off your list or not. 11) Use Chase to buy some of your gifts with your cash back rewards. 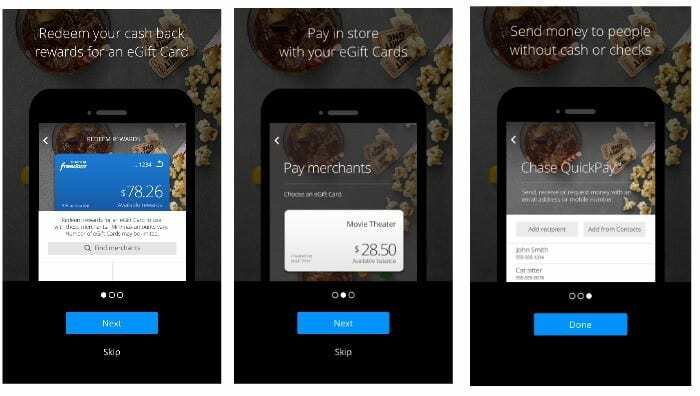 The Chase Freedom® Mobile App –allows Chase Freedom cardholders to easily redeem cash back rewards and pay at the register at 30 merchants including Toys “R” Us, Gap, Target, Lowe’s, Starbucks and at any movie theater owned by Regal Entertainment Group. That is how I do a lot of my shopping. I use my credit card to get me discounts and I apply for money back rewards to make purchases. 12) The Chase QuickDepositSM comes in really handy. It allows me to add quickly to my holiday spending account because my relatives ask me to buy for my children. I add their check by pointing, clicking, and depositing right from my phone into my holiday account. Then I add those amounts to the amount I can spend on my children. The best part of the holiday is the joy you feel from spending time with those that you love. You do not want to pay for things long after the holiday. You can make better buying decisions with the services offered by Chase. You can visit Chase.com/wayyoubank to learn how you can save time by banking securely and conveniently from virtually anywhere. We all need reminders so visit Chase on social media for up to date tips and new advances in banking technology. 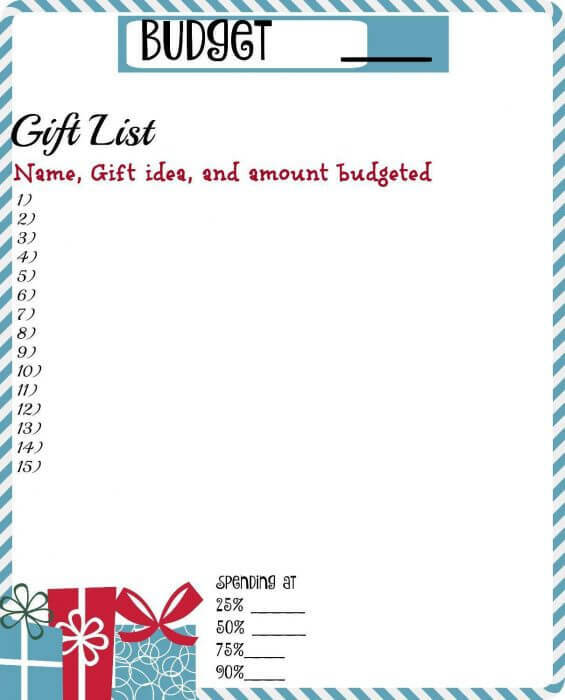 To help you plan your holiday spending, I made these budget printables. Just click and print.